Enjoy the best inspirational, motivational, positive, funny and famous quotes by A. Ray Olpin. Use words and picture quotations to push forward and inspire you keep going in life! No matter how much we learn, there is always more knowledge to be gained. In this connection I am reminded of a short poem that has been in my mind over the years. It reads as follow: I used to think I knew I knew. But now I must confess. 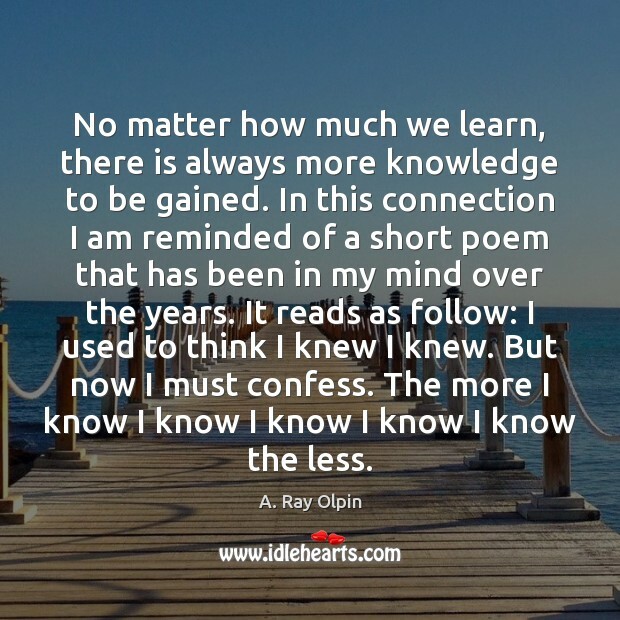 The more I know I know I know I know I know the less.